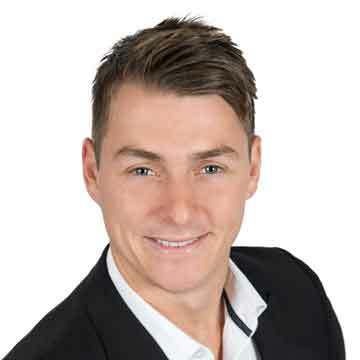 With a bachelor degree in Marketing, Advertising and Public Relations and ATTREE Real Estates No.1 Selling Individual agent for 2014 and 2015, Michael is an invaluable, reliable and hard-working asset to the team. His focus is strongly based on customer service and always strives for the highest results for each and every one of his clients. When you work with Michael Allbeury you not only become a client, you also become a good friend because of his friendly, open and honest nature. Call Michael today to assist with the sale of your home! We contacted Michael about 2 years ago but because of our tenant wanting to stay on, we continuted to lease it till the recent expiry before putting the property on sale. He took this up and went on to market the property exactly per what he said in our meeting and recommended what we should do to make the property more appealing. 1. Very committed and positive outlook throoughout the whole process from start to settlement. 2. Even in phone text messages, he always greeted us and explained well what he wanted to communicate. The best we have seen from any sales professionals. 3. Fantastic follow up/ feedback on each home open without us even asking for it. 5. Went at great length to schedule private home opens and create opportunities. 6. Took initative to replace doors lock/ keys when he lost our house keys while setting up home open display on the streets. 7. Assisted us very well in coordinating for repairs on faulty appliances after final inspection. We have no hesitation to use him again when we plan to sell our next property in the future. Our sincere appreciation to Michael for his fantistic job !!! We are writing to express our sincere thanks and gratitude to Michael Allbeury for the recent sale of our Canning Vale home. The 'Attree' experience we received was nothing short of fantastic and this is due to the professionalism, dedication and commitment of Michael Allbeury. At our initial meeting with Michael, we were impressed with his warm manner and approach and felt 100% confident that he was the right agent to work with us on the sale of our home. This experience continued throughout the open homes which Michael coordinated for us. For each open home he arrived well ahead of time, was fully prepared, positive and up-beat and ensured our morale was kept high in a tough market. Following each open home, the feedback from Michael was regular, detailed and he ensured that we knew what was happening at each stage of the follow up process. We could not have asked for more, and in fact, our expectations were well surpassed. When it came to negotiating the offer, Michael worked well into the night with the purchasers to secure us a great deal - for this we were very grateful. This was our 4th experience of engaging your agency as we had previously purchased 3 blocks of land in the Glenariff Estate - again we were not disappointed. Showing 1-9 0f 9 total results.